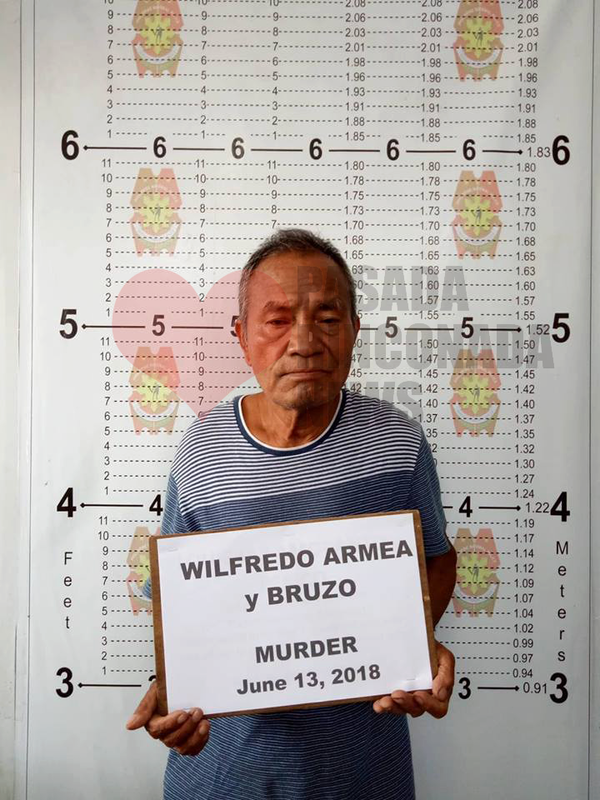 NAGA CITY (Bicol Standard) – The principal suspect in the murder of 50-year-old Municipal Trial Court Judge Ricky Begino was arrested this morning in Presentacion, Camarines Sur. This was relayed to the Bicol Standard by Agnes Begino, the younger sister of the victim. 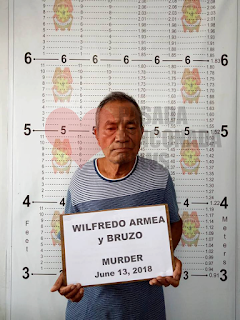 The 73-year-old suspect Wilfredo Armea y Bruzo shot the presiding judge of MTC San Jose and Lagonoy at close range at around 5 p.m. Tuesday at Zone 3, Barangay Sta. Maria. Agnes Begino said the judge was about to send off his wife who was going to Naga City when he was spotted by the suspect. Armea, according to witnesses, approached the judge from behind with a concealed gun and immediately shot him. Judge Begino was hit in the back of his body. The bullet penetrated his spinal column and exited through his neck. Stunned, several witnesses responded by throwing stones at the suspect, who retaliated by firing gunshots in their direction. Said witnesses tried calling for help from the municipal government, who said that their ambulance was unavailable. The family decided to borrow an ambulance from Lagonoy, which is around an hour away from Presentacion. At that point, the judge had already lost a lot of blood. He was rushed to NICC Hospital in Naga City for medical attention. However, he expired at around 7:30 pm. Meantime, the police tried to get hold of the suspect and were able to finally arrest him earlier today. The Begino family clarified that the land dispute, which was earlier reported to be the motive of the shooting, has been settled for years. Another angle they are considering is that allegedly, the suspect was seeking the judge’s help in a case, which is pending in court. No details, however, on said case are available as of this writing. Netizens from all over Bicol took to Facebook to express their condolences, saying that the judge was well-loved, impartial, and humble. They recalled how Judge Begino was a working student who served as a mailman all throughout his law school years at University of Nueva Caceres. He was the former president of the Municipal Trial Court Judges Association in Camarines Sur. His remains are currently in Funeraria Imperial along Penafrancia Avenue, Naga City.